We all need somewhere to store our clothes but what if your bedroom is on the petite side? 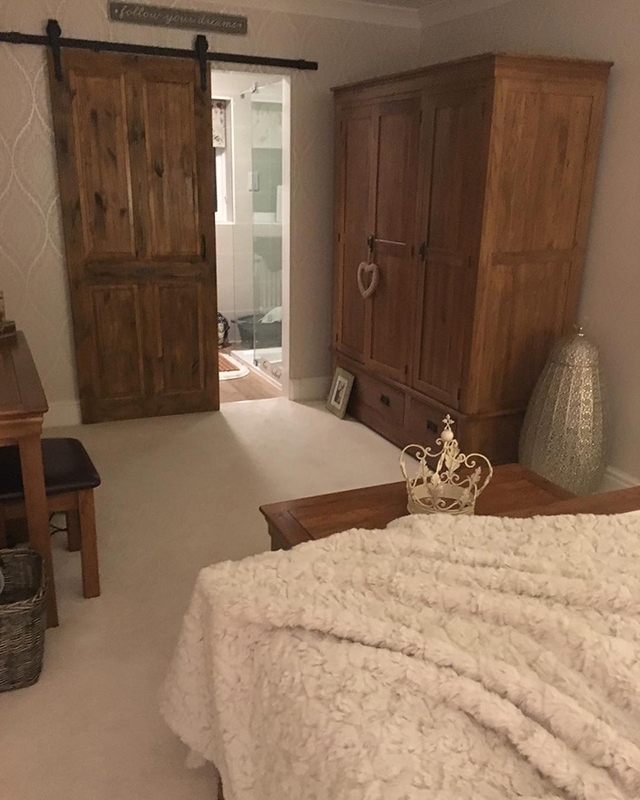 While smaller rooms always have their own challenges, there are a few things to keep in mind when choosing the wardrobes that are the best fit for your bijou space. Our tips today will help to create a bedroom that’s not only well organised but still creates a calm and restful vibe so necessary for a good night’s sleep. 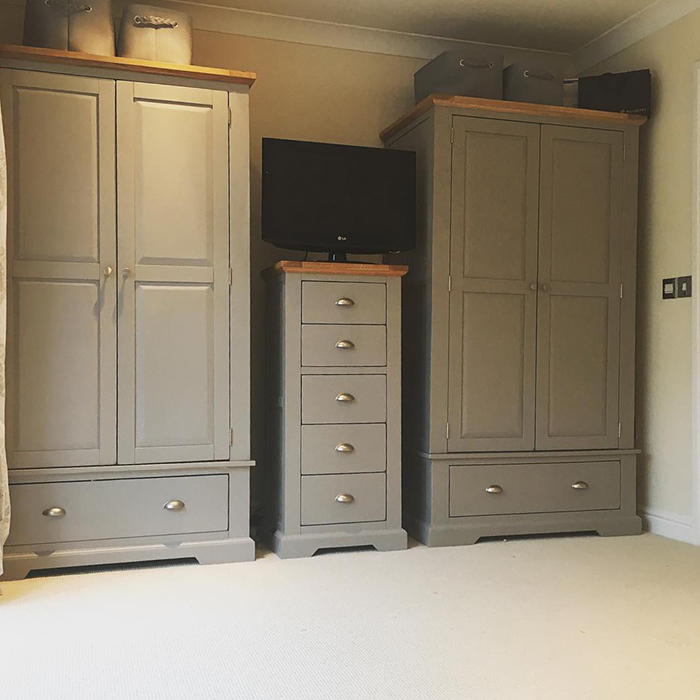 While it might be tempting to try a 3 or 4-door wardrobe, the reality is that they’ll overwhelm the space you have, making it – rather than the bed – the focal point of the room. Instead, choose furniture that’s appropriately sized to the space it will be living. A 2-door wardrobe will still provide plenty of hanging space and choosing ones with drawers means you have more room to store things like jumpers, jeans or linens without using up precious hanging space. If you live in a period property, you’ll probably have alcoves in various rooms in your home. 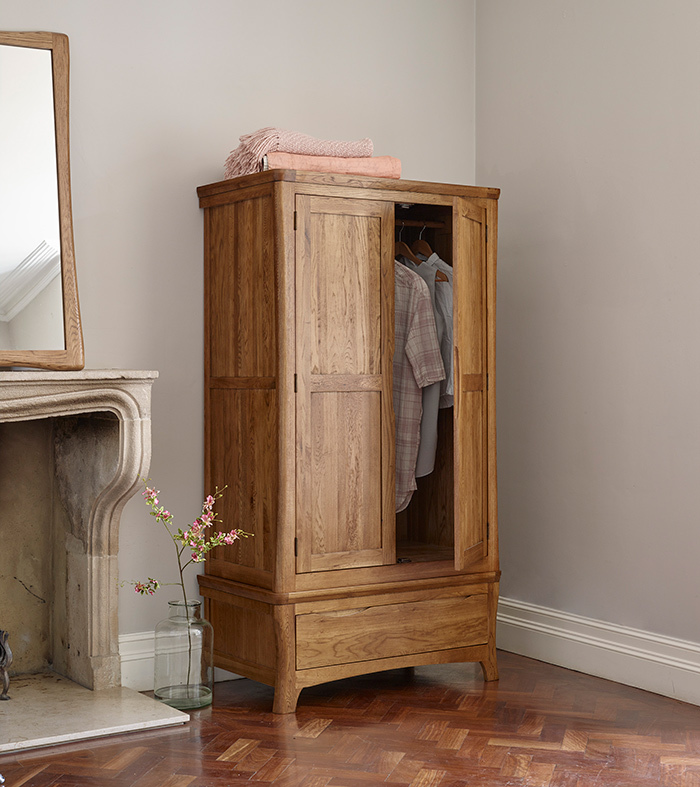 The alcove is a perfect spot to fit your wardrobe without taking up too much space in the rest of your bedroom. Make sure you measure your alcoves properly: Use a metal tape measure at the bottom, middle and top of where your wardrobe will go (taking into account skirting boards or picture rails) and then choose the width of your wardrobe based on the smallest measurement. In period homes, walls are rarely straight, so you want to be sure the piece will fit at all points. In a small room, a contrasting piece of furniture against light walls will stand out, making it seem more imposing than necessary. 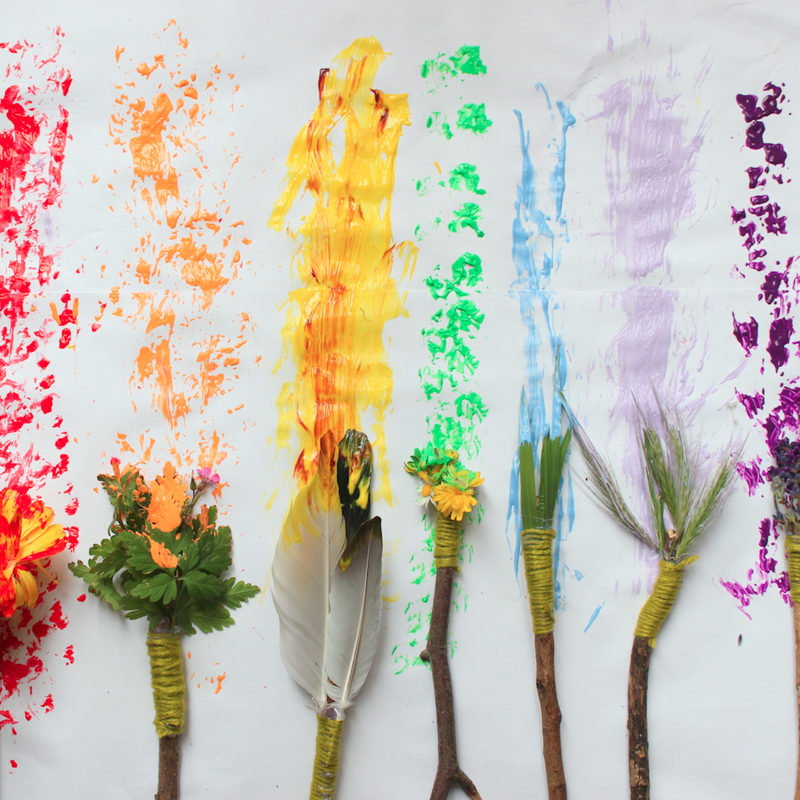 Consider painting your walls the same colour as your wardrobe to allow them to blend in seamlessly and make them visually recess from view. 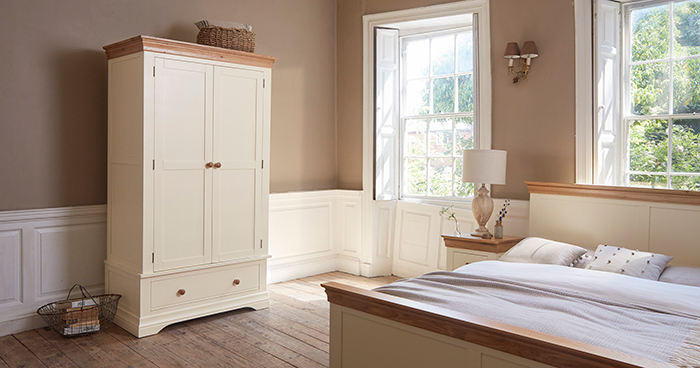 Our St. Ives wardrobes are painted in a soft dove grey, the perfect colour for a tranquil bedroom space. As an alternative to painting your walls the same colour as your wardrobe, consider wardrobes that are painted in a light colour, like our Shay 2-door wardrobe. When used with the matching bedframe and bedside tables, it will create a consistent look throughout, making the room seem bigger than it is. And finally, don’t forget to utilise the space on top of your wardrobes. Choose some attractive woven baskets to store out-of-season linens or attractive vintage luggage filled with additional bedlinens to make the most of all the space you have. Looking for more ideas to create your perfect bedroom? 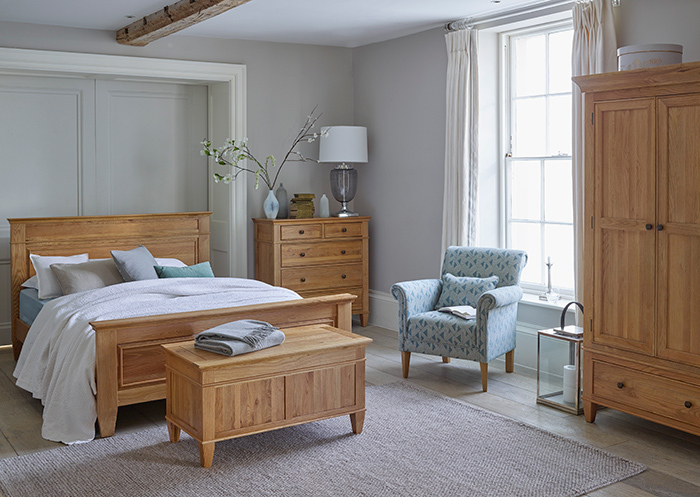 Check out our posts on How to Arrange Bedroom Furniture and Maximise Space here.